Welcome to day one of Stamp Highlights! 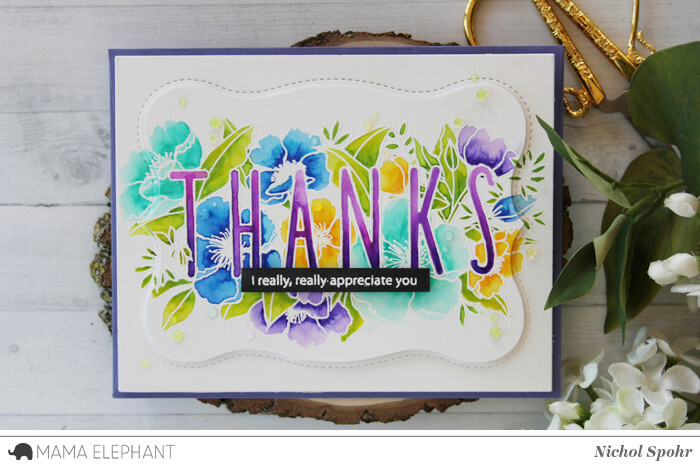 Each day the Design Team will be showcasing a stamp set from the new release and today we are looking at the oh so gorgeous Botanic Thanks! 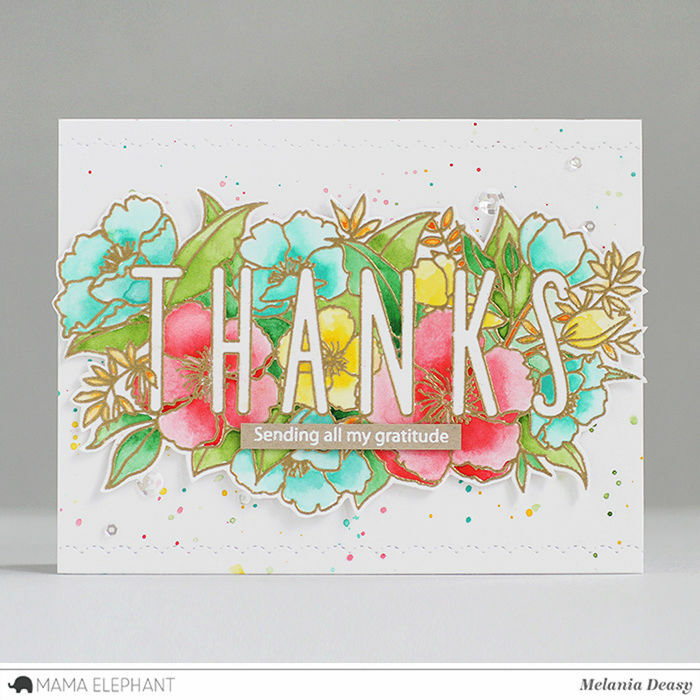 Deasy created a beautiful watercolor card with gold embossin. 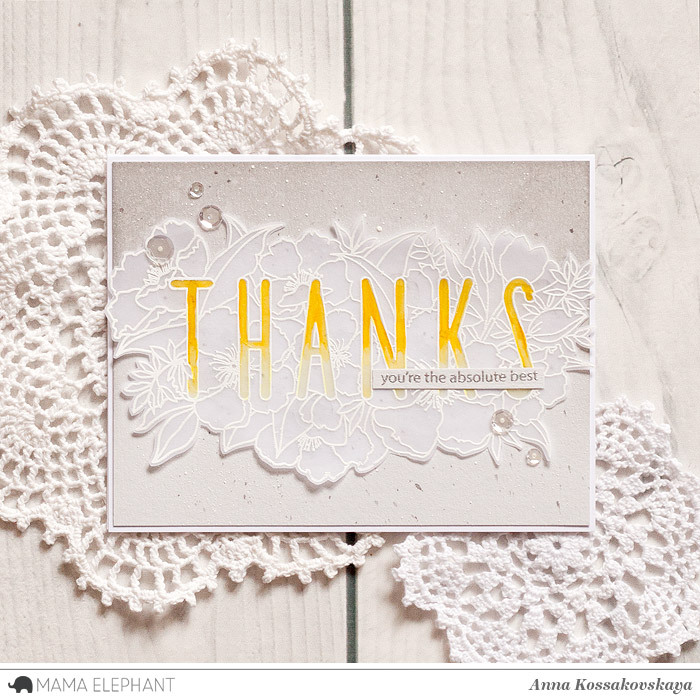 We love Anna's subtle card with the white embossing on the vellum! The colored letters make the great accent. 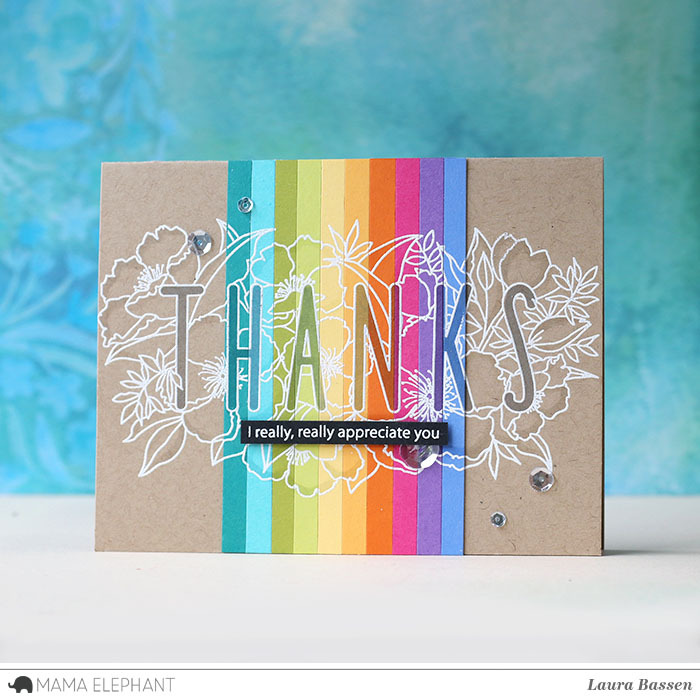 We are loving the rainbow stripes on kraft cardstock. Nichol created a spotlight stamped area by popping up the Botanic Thanks with the Framed Tags Lafayette frame die. A very pretty water colored card by Amy. 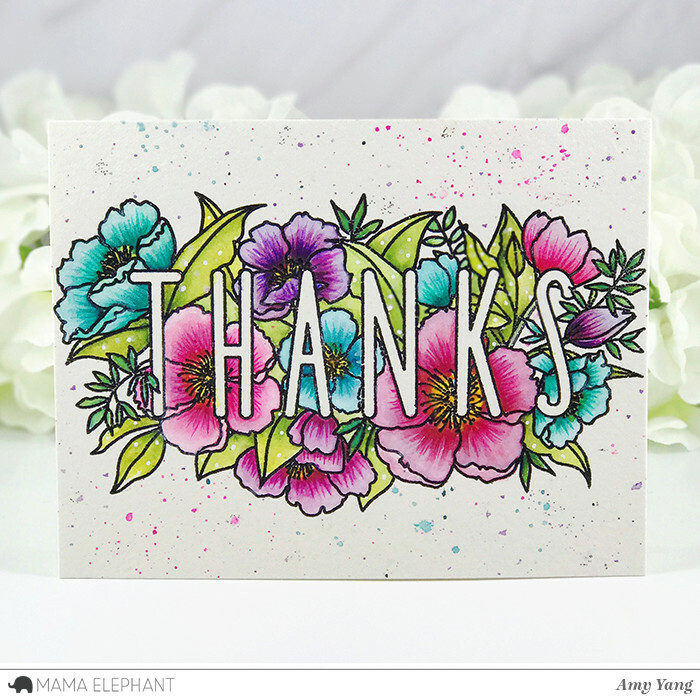 We love how Vera embossed the word "THANKS" to make it stand out. Wow, so many gorgeous cards with this beautiful stamp!! The possibilities really are endless with it!! Gorgeous cards and a beautiful stamp with endless possibilities, as seen here today!